NCover Desktop runs as a service, so it's already monitoring, ready to cover any .NET code executing on your machine, including scripted code testing by applications like the popular QuickTest Professional (QTP) software from HP. 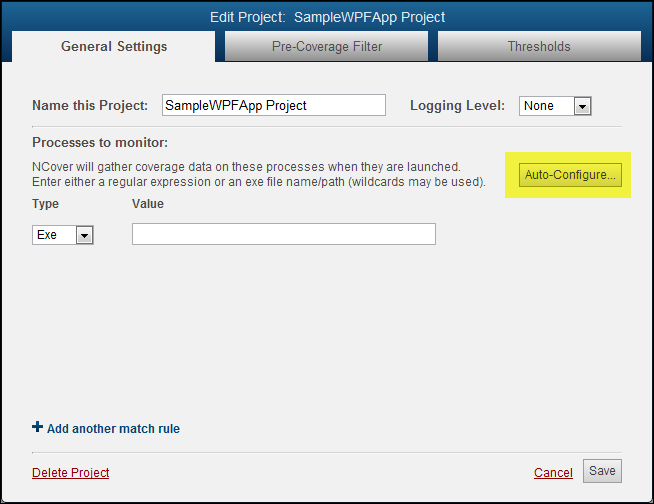 An important consideration when setting up NCover to work with QTP scripts is your code coverage goal. 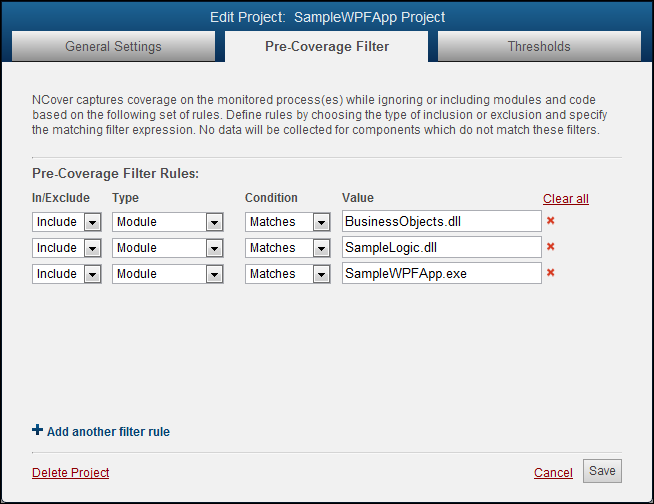 To see coverage on the code that is exercised by QTP scripts only, there's no need to have NCover profile the QTP process -- just find the tested application and let NCover gather coverage data on the source code. Having NCover profile QTP and any processes it starts won't change your coverage numbers -- the same source code will be loaded by the QTP scripts and profiled by Desktop whether NCover monitors QTP or not. One reason to have NCover monitor QTP as well as the tested application would be to gather data on the actual execution and performance of the QTP scripts, so if this is one of your goals, NCover can profile all the processes you specify. 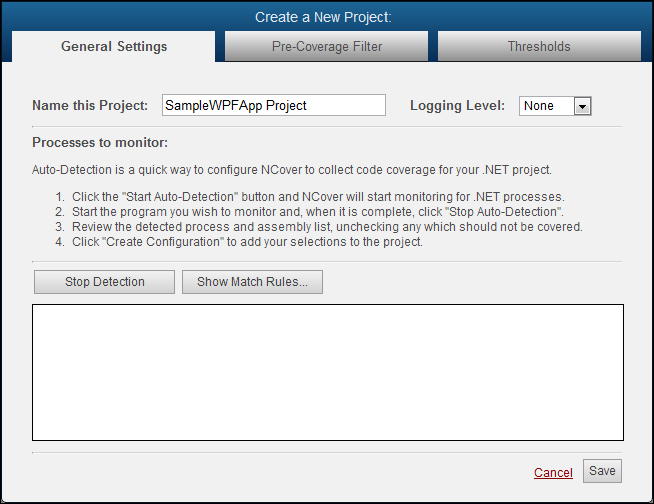 From the Home view of the NCover Explorer, click to open the "Create a New Project" window. From the "General Settings" tab, name the project and then use an Exe or Regex to specify the test runner process -- for example, "C:\dev\QTP\bin\qtpro.exe". 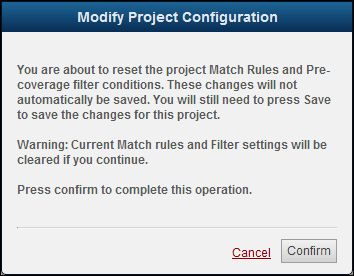 When your project selections are complete, start or re-start your tested application and run your QTP scripts. Go to the Home page and you'll see that the light beside your enabled project is pulsing green to indicate coverage is being collected.